Featuring free WiFi, Hotel De Sainte Croix is located in Bayeux, 300 metres from Cathedrale Notre Dame de Bayeux. Each room has a flat-screen TV. Certain rooms have a seating area where you can relax. Le Castel is a guesthouse located in the centre of the medieval city of Bayeux between the station, the Cathedral and the Tapestry Museum. 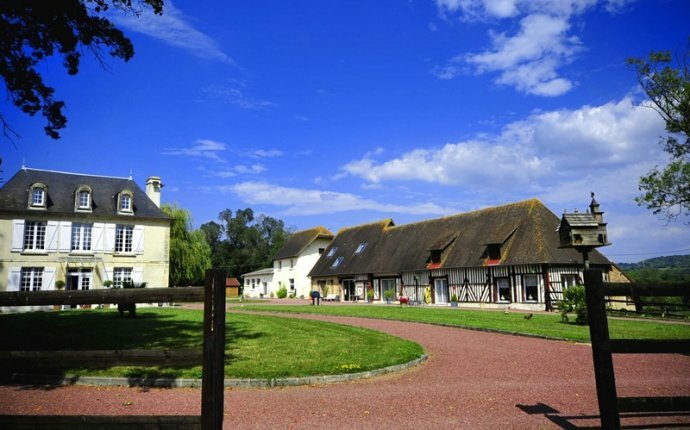 Chambres d'Hôtes La Pommetier is located in Arromanches-les-Bains, 300 metres from the beach and D-Day Museum. Free WiFi access and a garden to relax are featured. Set in a 2000m² park, this 19th-century house is just 200 metres from the Bayeux Tapestry. You can admire the views of the garden from your elegant room or visit Omaha Beach, 6 km away. Featuring free WiFi throughout the property, Villa Cambette offers accommodation in Bayeux, 400 metres from Museum of the Bayeux Tapestry. Dating back to 1783, La Bonne Auberge is a group of thatched roof cottages located beside the Brotonne Forest and overlooking the River Seine. This property is set in Vieux Port in Normandy. Château de Damigny is located in Saint-Martin-des-Entrées, 4 km from Bayeux, and features elegant rooms with free Wi-Fi, a spa bath and a big park with a pond. The sea is a 15-minute drive away. Located only 500 metres from Honfleur, this 19th-century mansion features free Wi-Fi internet access, a large garden and a communal living room.